Map It! Okinawa: "Statue of Toyoma Kyuzo, The Father of Okinawan Emigration"
"Statue of Toyoma Kyuzo, The Father of Okinawan Emigration"
Tomorrow, October 12 2011, marks the beginning of the 5th World Uchinanchu Festival. Every 5 years Okinawan descendants from all over the world return to Okinawa to celebrate their Okinawan heritage and ancestry. For my 50th blog post, I only thought it would be fitting to talk about the man who would start it all. 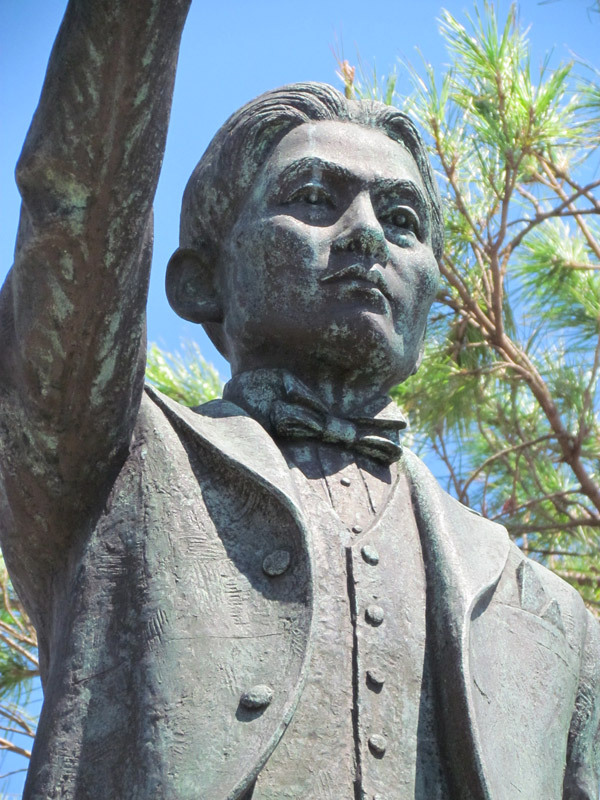 The man you see above is Toyoma Kyuzo and is regarded as the "Father of Okinawan Emigration". Mr. Toyoma was born in Kin Town, Okinawa on November 9th 1868. He would pave the way for the first immigrants to emigrate...destination...Hawaii. On December 5th, 1899, 26 Okinawans set out to sail from Naha Port and would arrive about a month later on January 8th 1900. 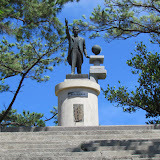 The statue of Toyoma Kyuzo is seen with a globe to his left side and pointing with his right towards the direction of Hawaii. Today, it is estimated that over 400,000 Okinawan descendants live throughout the world. In celebration of the 5th World Uchinanchu Festival, we honor our 50th blog post to Mr. Toyoma Kyuzo, a man with a vision, instrumental for passing on the Okinawan Spirit throughout the world. Source: 100 Year Chronology of Okinawan Emigration, Worldwide Uchinanchu Network, 5th Worldwide Uchinanchu Festival Website. See also Oshiro Kozo (Emigration to the Philippines). Getting there. The statue is not very far from Highway 329 and just a few hundred meters south of Gate 2, Camp Hansen. Use Google's 360 zoom to get an idea of the turn-off. The statue is right below the Kin Town Office. 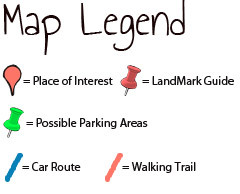 See the Landmarks on the map. Other places of interest nearby: Kin Kannonji Temple, O-kawa, Statue of Oshiro Kozo, Kin Watch Tower, Kin's Castle Rock, Kinjo's Used Goods, Kin Town's Hidden Nature Trail, Richamocha Cafe, Birth Place of Toyoma Kyuzo, Kin Town's History Chronicles, Kin Town's Cherry Blossom Way. "Kin Town's Hidden Nature Trail"
"The Mysterious 'Esu Shirube' Stone"
"The Birth Place of Toyoma Kyuzo"
"The Fukushuen Chinese Garden in Naha"
"A Nice River Stream in Ura"
"Todoroki Waterfall in Nago City"
"Small Cave Spring in Kunigami"
"The Yanbaru Wildlife Conservation Center"
"An Intriguing Utaki in Maehara"
"Sueyoshi Forest Park in Naha City"